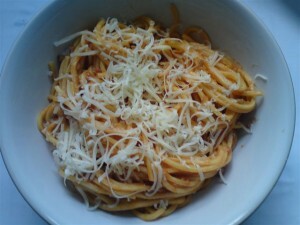 It will come as no surprise to regular readers that I love Italian food, well, let’s be honest I love most food! That means I am always more than willing to test and review products which are new to the market. 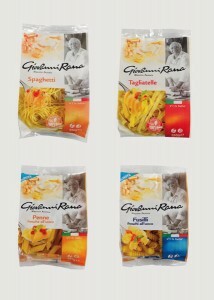 Today that food comes in the form of a new range of Fresh Pasta Sauces and Fresh Unfilled Pasta from Giovanni Rana. First lets start with the Fresh Unfilled Pasta, we tested out Fresh Spaghetti, there is also Tagliatelle, Fusilli and Penne shapes available.The Spaghetti had a slightly square shape rather than the completely cylindrical offerings you may be more used to seeing. I rather thought this made it l ook more upmarket, but obviously the real test is the taste. It also has a slightly rougher texture known as sfogliagrezza which allows the pasta to pick up more sauce and therefore more flavour. With a minimum of 20% fresh eggs the taste is pleasant even before you start adding additions. It also takes a mere 5 minutes to cook, which makes it perfect for a busy family. It’s pretty rare to find tasty food that cooks in a flash. 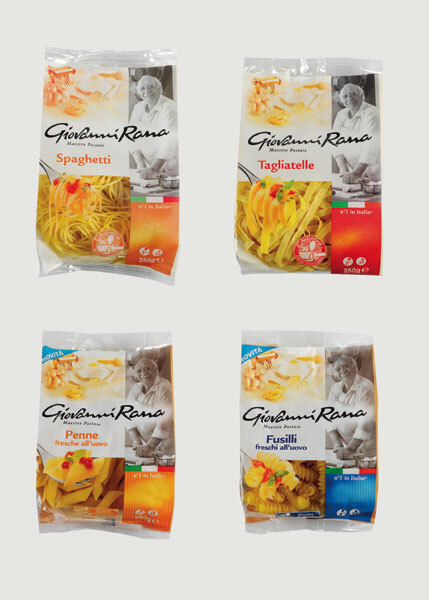 The Fresh Pasta Sauce range includes Parmigiano Reggiano (for filled pasta), Porcini Mushroom, Genovese Basil Pesto and Italian Bolognese Sauce. 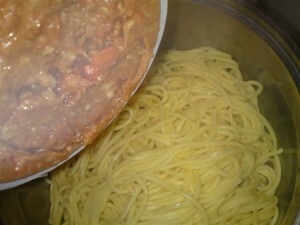 We tested out the Italian Bolognese Sauce. You might well be thinking, Bolognese – that’s nothing new. In some ways you’d be right, but there’s a reason that this tasty tomato and meat sauce has become such a staple the world over, it’s good! In some respects though that might make you more discerning when you try out a new brand such as this. Giovanna Rana’s Bolognese sauce is sweetened with cherry tomatoes, this added a lovely light note to a sauce that can have a tendency to heaviness. The tomato tasted fresh against a satisfying meatiness. It wasn’t remotely greasy, another common complaint against Bolognese. One small note, I didn’t like the smell of the sauce when cold. Not a big problem obviously, but I mention it as it could put you off trying out this lovely little pot. Personally I would have liked a slightly larger pot, but then we’re a family who like sauce, so again not a huge issue. Technically the Bolognese also contains Parmigiano Reggiano Cheese, I could taste it, but I still think a little freshly grated Permigiano sprinkled on top would really complete this dish. Overall I really enjoyed the new Pasta and Sauce. It’s perfect for when you’re busy and tired due to it’s quickness. It seems to go down very well with adults and children alike and there’s not really much to dislike. Available in selected ASDA and convenience stores nationwide from May 2011. 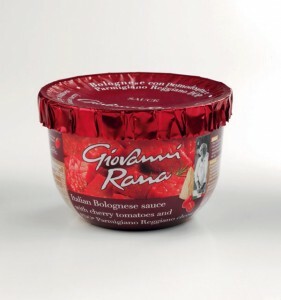 For more information on the Giovanni Rana range, as well as recipes ideas, visit www.giovannirana.co.uk.